The REAL Skinny on Botox! What is Botox®? Will it help me look younger? Isn’t it a toxin, why on earth would I want to have someone inject a toxin in my face!?! Won’t I look “Fake” or unnatural? This is a 32 year old patient who had 25 units of Botox® for the “Angry Lines” between the eyebrow 3 weeks after treatment. These are some of the questions I get asked almost daily, so here are the answers to these and more! What is Botox, Is it a toxin? Branded Botox® is a form of botulism toxin that was first used for treatment of eye condition in 1977. 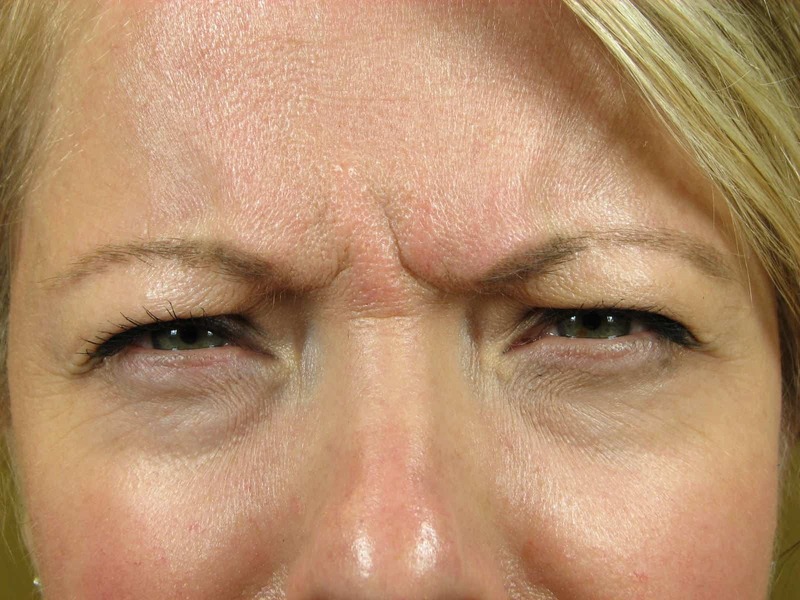 Patients started noticing that the wrinkles by the eyes would smooth out and started going back to the doc to get more Botox®, doc would say, “is your eye problem bothering you?”, ” No, Doc, but can I get some to smooth out my wrinkles?”. Since that time Botox® has been FDA approved for cosmetic use to treat wrinkles in the face in addition to the medical uses. Many millions of Botox® injections have been administered with very very few side effects or complications with *cosmetic Botox®*- making it overwhelmingly safer than driving in a car! Don’t take my word for it, read this scholarly article. Also, while it is worth taking a look at Allergan’s notice of risks with Botox® here, it is good to keep in mind most of the risks mentioned are either very minor or extraordinarily rare. The company that made Botox® started researching it for cosmetic reasons rather than just medical reasons. Yes, it is made from the toxin from botulism bacteria, and yes this toxin has killed people who ate a bad batch of canned food, but nearly all medications are toxic in large quantities, Tylenol, for instance is made of acetaminophen which is considered one of the safest pain medications is highly toxic, lethal in fact, in doses as low as 4 times the recommended dose. It is so fascinating, really, when a toxic substance turns out to have medical benefits when used correctly! 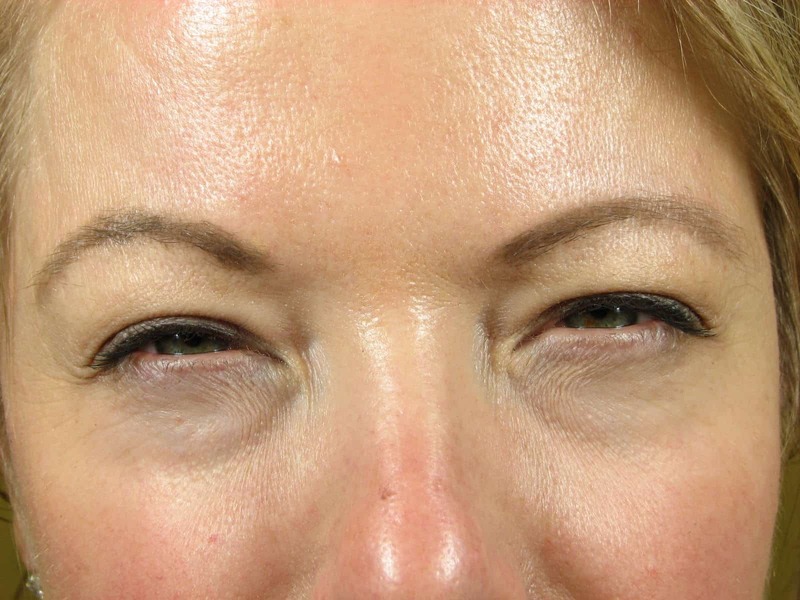 In small controlled doses and under careful administration the botulinum toxin was very effective at controlling unwanted eye movements and controlling the muscles that create and maintain wrinkles. Cosmetic treatment with Botox® is the most commonly performed medical procedure in America, indeed – on the planet! It is estimated that 1.5 million botox treatments are performed in the USA every year. My suspicion is this is a low estimate: If 5% of the American public gets Botox®, that’s 15 million people per year, if they get it every 4 months that would be 45 million treatments per year in the USA. The number of complications (and reporting these is required by law) is extraordinarily rare most may be related to a previously unrecognized neurologic disease or treatment of children with spastic disease with large amounts of botulism toxin. The question, “Will it help me look younger?” depends on how much wrinkling (and where!) is affecting your look. For most people over 40 the answer is most certainly “Yes”. The forehead lines, the “angry lines” between the eyebrows, the crows feet by the eyes – these are all areas that Botox® can smooth the wrinkles and therefore the skin. It is common to get Botox® at an earlier age, about 25% of my patients are under the age of 30. See Dana 23 years old, getting Botox® on a live video here. These younger clients want prevention of wrinkling and also sometimes they have active wrinkles that make them look prematurely older. “Will I get addicted?” NO. There is nothing that is addicting about Botox®, it is not an opioid or anything that will cause withdrawal effects. People do have a tendency to like it and continue using it because they like the way it looks. This is no different than getting a haircut or nails done, or even working out at the gym to look better. Of course you want to look your best so you may decide to keep using it. In fact, regular users can stretch out the visits from initial 3 month interval to usually 4, 5 or even 6 month intervals once the medication has thoroughly relaxed the muscles. Cost of Botox varies greatly from client to client. In our clinic we charge per “unit” of Botox. Let me explain, like some vitamins and other medications, Botox is measured in “units of activity”. It comes in vials as a dry powder which has to be solubilized (mixed) with sterile saline so it can be injected. This is then drawn up to treat different areas. Typically – but not always – the forehead needs about 10 units to treat the wrinkles, but in my experience, the range is between 4 units at the very lowest for a long time patient up to maybe 14 or even 16 units if someone has strong musculature. So at $10 a unit for new patients (disclaimer, as of Nov 2018, prices (can and most likely will change) treating the forehead averages $100 for a new client, perhaps $110 for an existing client. Other areas are typically more expensive: angry lines between the eyebrows can be $275 or higher, crows feet can range in price from $250 (for both eyes) to higher. 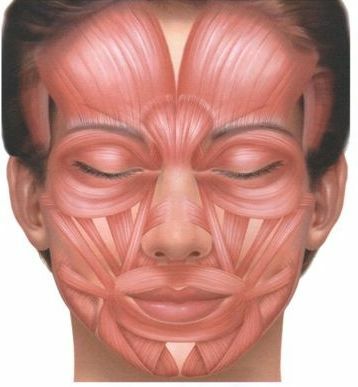 We use this diagram to identify where to put the botox injections, and looking at the patient how much at each location. I price Botox by what it costs to treat the individual patient! Some practices charge “by the area” I disagree with this because an “area” like between the eyebrows may need between a low of 9 units to a high of 30 units. I assess the area and recommend a treatment, we discuss pricing before the treatment. In a nutshell – treating the forehead is usually $100 +/-, Treating the whole face in a 55 year old with no prior Botox and advanced wrinkles can be $500 or more (up to a max of about $750, but that is rare). I’m a board certified MD with over 10 years experience treating patients with Botox in Asheville. I do not charge at this time for consultations if you wish to just speak with me about it in person. A resounding NO if *I* do it for you. I will not let a client ask for too much Botox, I will discuss the optimal use to create a natural look and this is one of the reasons I am so popular with my clients! Please see OUR Botox® page here. And we would love it if you call (828 627 2711) or email us (at [email protected]) if you have any questions. The BEST way to know what is right for *YOU* is to come in for a complimentary consultation! I am a board certified MD with over 10 years of experience injecting Botox, I do not charge at this time for consultation if you just wish to talk about it!